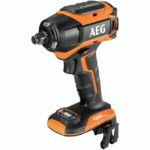 Usually we learn about new Ridgid tools when they are announced over seas as AEG branded tools and then they eventually come over to the USA as Ridgid branded tools, but it seems that this time around us here in the USA have gotten the Ridgid tools first and then you guys overseas have received your AEG varients afterwards. 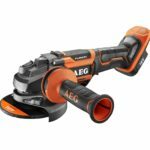 This is exactly the case with the AEG 18V Fusion Brushless Reciprocating Saw which was spotted first in Canada and now available in the USA as a Ridgid model, and the same goes with the AEG 18V bluetooth speaker. What’s strange about these offerings is that at first glance they appear to be identical models aside from the difference in color scheme but upon closer inspection one of the AEG models offers an additional feature while the other AEG model lacks a feature found on the Ridgid equivalents. 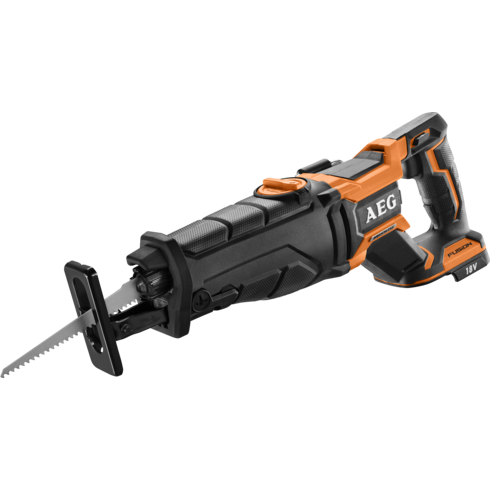 We’ll start off with the AEG 18V Fusion Brushless Reciprocating Saw which has a rafter hook that is not there on the similar Ridgid model. 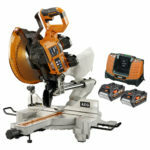 Other than that the specs and features are similar to the Ridgid Canadian model. Learn about the Canadian Ridgid model by clicking here, and learn about the Ridgid USA model by clicking here. 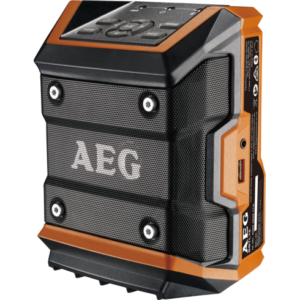 Looking at the AEG bluetooth speaker, compared to the Ridgid model, it’s only a bluetooth speaker as it’s missing the radio function found on the Ridgid equivalent. Learn more about the USA Ridgid model by clicking here. 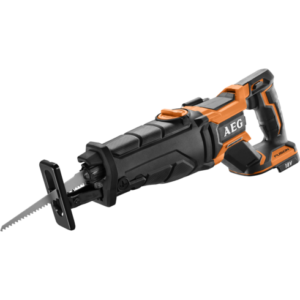 We can thank Joshua B. and Glenn for spotting these new AEG 18V cordless tools. 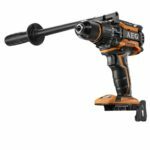 Actually there are a few Ridgid tools you have that we haven’t seen in AEG yet, like the compressor, the heater and the hand vac for example. There are also quite a few Ryobi 18v tools that we don’t have yet such as the 1/4 sheet sander, the 23g nailer, the transfer pump, the wireless speakers as well a few more, so its not all bad for you guys lol! Your version of the Bluetooth speaker is way better having the fm radio. In fact I would go so far as to say that any radio that does not have Bluetooth and any Bluetooth speaker that does not have a radio is a complete fail and just an excuse for manufacturers to rip us off. Adding either one at manufacturing stage will literally only cost a few dollars. 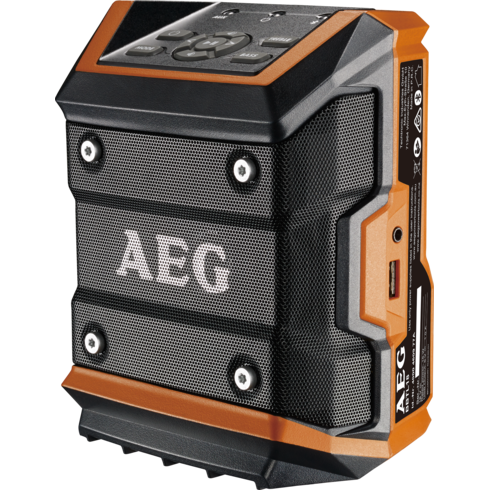 As an aside AEG also offer a DAB FM radio with Bluetooth in a compact package.